It’s incredible how far apartment living has come and how many are centered around building a community with upscale amenities and shared spaces. 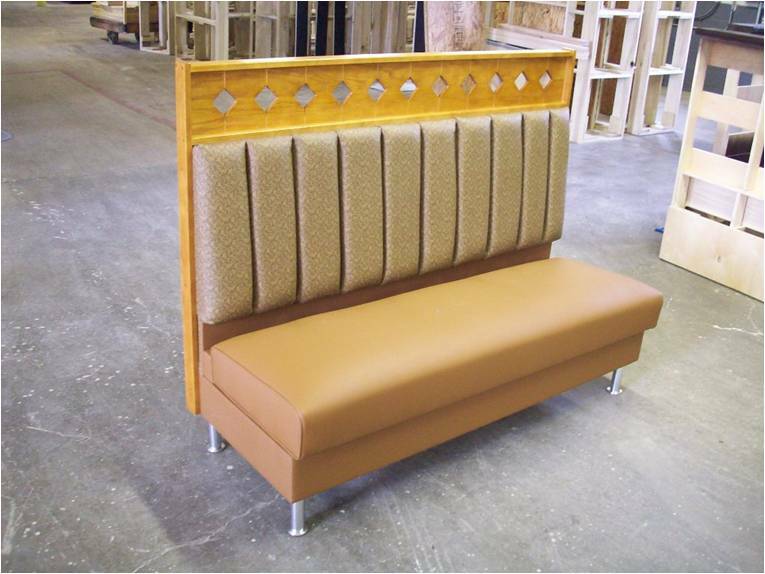 Take a look at this custom banquette produced for Oak Creek Apartment Community in Lewis Center, OH. CCB’s Statesville Series was modified to create this statement piece! Thank you to Champion Real Estate Services & Construction Co. and our CCB Sales Representative, Jay Dickinson for the opportunity to be a part of this project. Let us know how we can be a part of your next project. Interior images from the Oak Creek at Polaris website. More New from CCB- Stain Colors! is a medium brown with an equal balance of warm undertones. Not too red, orange, or gold. A traditional, transitional, a mid-century or even a vintage feel. is a neutral colored stain with a gray to cool brown cast which can take on a modern sleek feel or go to the opposite extreme of coastal or rustic. Just depends on what you decide. As with all stain colors there will be some shade and color variations that will occur as it is applied to each unique piece of wood. Images of CCB stain colors are for gerenal reference only and should not be used to make final color selections. Contact Customer Service to receive actual stain samples. But if you cannot find what you need for your project, then don’t forget that for a nominal charge that CCB can match a sample submitted to create a custom stain color. The stain options for your seating & tables have expanded and may just be limitless! 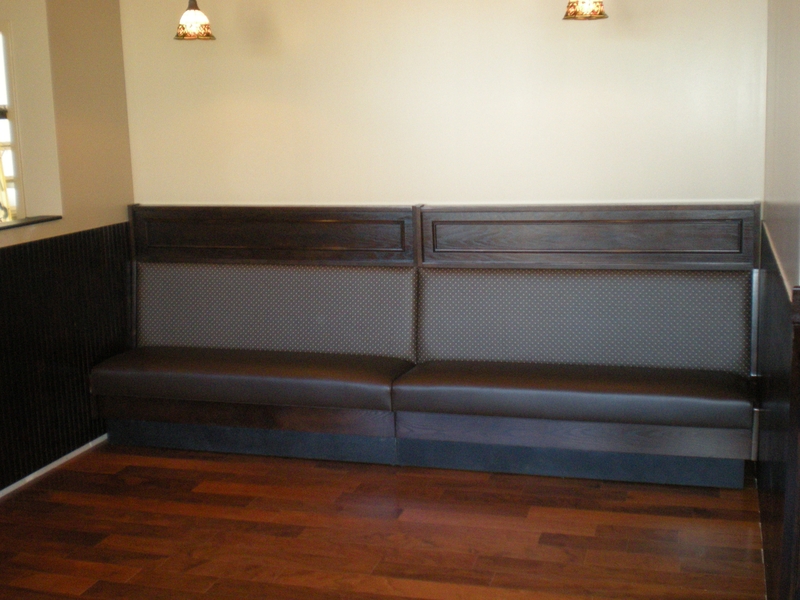 The Knight Cap Restaurant is located in Lansing, Michigan and is the project featured this week with CCB’s seating. Thank you to Pace Howe Design for specifying this product and our CCB sales representatives, Saeth Gronberg and Steve Gottbreht for the opportunity to be a part of this project. Let us know how we can assist you with your next project. This custom booth of the week actually helps brighten up the room, essentially putting this “Bowling Alley” back in the FAST LANE! This project is Thunder Alley and is located in Leland, NC. But don’t worry…you don’t have to travel there to see it!…We have photos right below! Featured Booth of the Week! 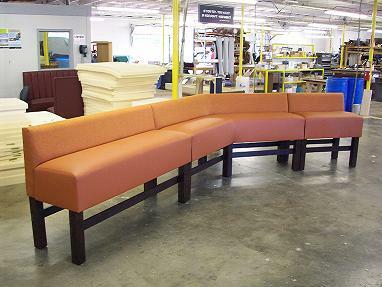 18″ Hardwood Legs to make a 30″ Seat Height Bench and it is upholstered in a lively orange fabric to brighten up the room! As always feel free to contact us about more information on this Booth of The Week or any others you are interested in! This particular custom job is now located in Mt. Airy, MD. Another booth which proves our exceeding ability to customize booths to match every individual’s taste! 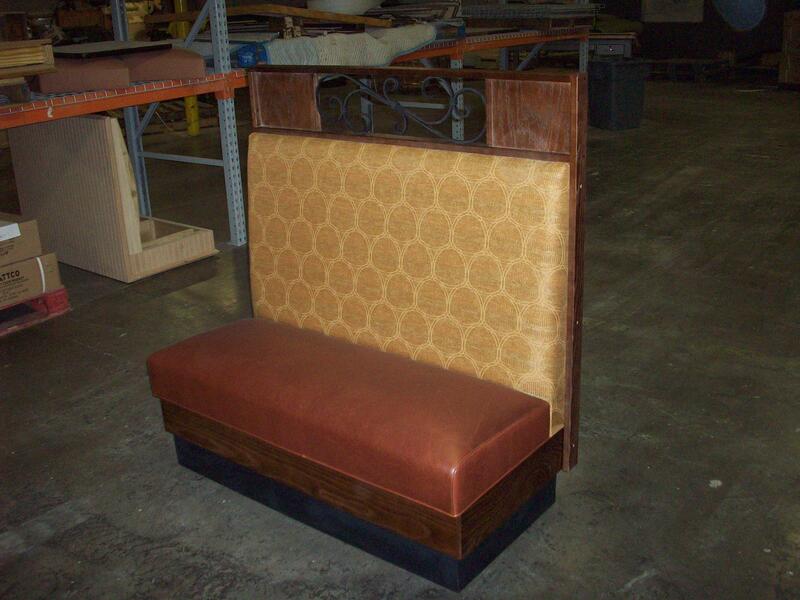 Feel free to request this booth or any others if your restaurant needs custom seating! The photo above is our current Booth of The Week. 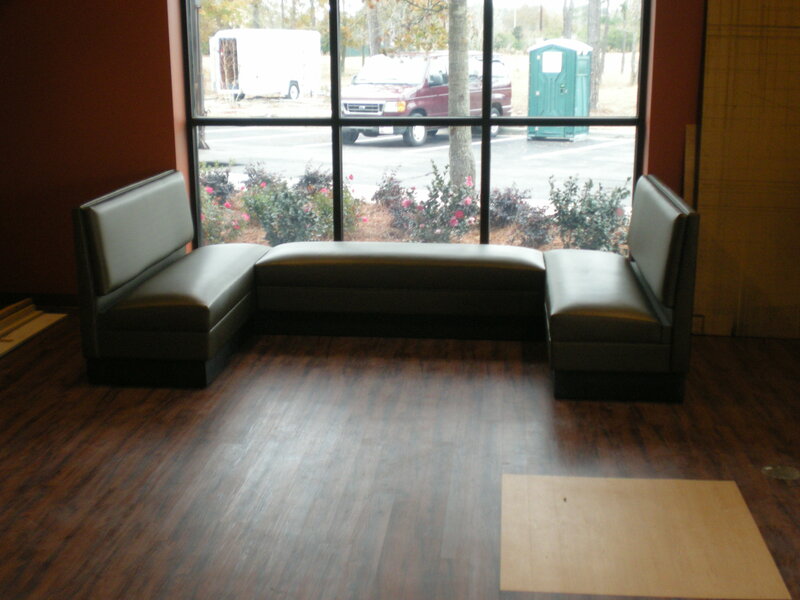 This job was customized and shipped off to Morrisville, NC. wood trim stained in a Dark Walnut. 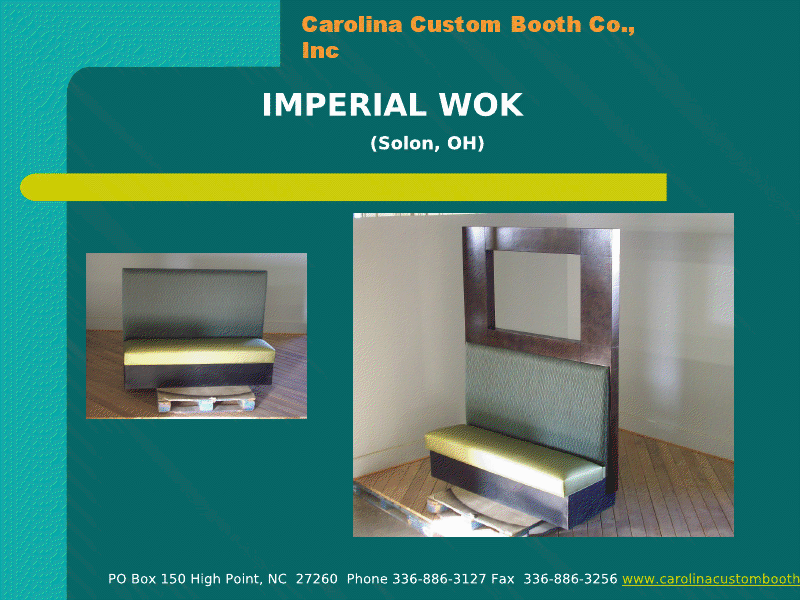 Please feel free to contact us to give us any feedback or find out more information about our custom booths! 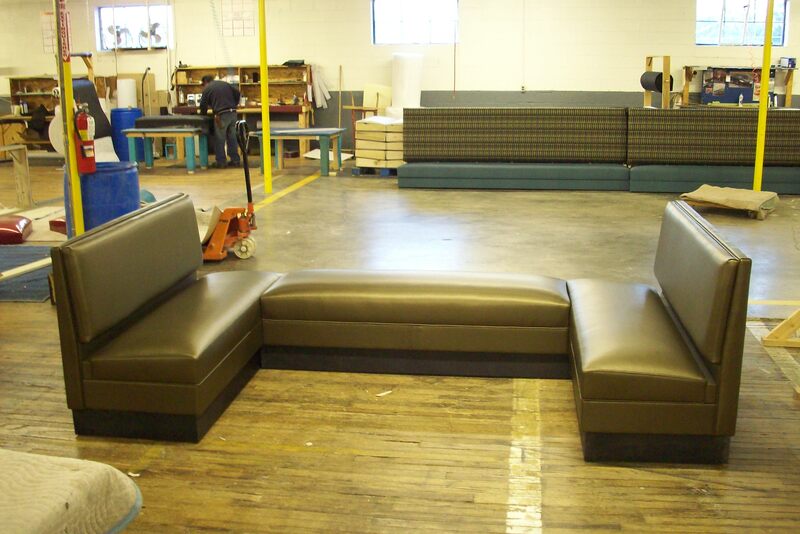 Preserving the environment is important to us at CCB, that’s why we use green products to build our custom booths. Environmental management is no longer a relatively simple task of controlling how much pollution your business creates. Manufacturing companies now need to be environmentally friendly at every stage of production—from the raw materials used to distribution and then on to the consumer use and in many cases final product disposal. Our environmentally friendly outlook goes without sacrificing our product quality, only making it better! Optional CCB delivery. padding wrapped and delivered on our truck to prevent damage and save on all packaging waste. This is a lovely booth which we customized and delivered to Pheonix, MD. As on all of our weekly booths we would love to hear feedback! If you have any questions or concerns about this booth or any others feel free to contact us. This was a fabulous job that was delivered to Solon, OH! Check out the way we took one of our ordinary booths and turned it to extraordinary. This is what customization can do for you! As always, we would love to hear from you. So, please feel free to contact us at anytime!